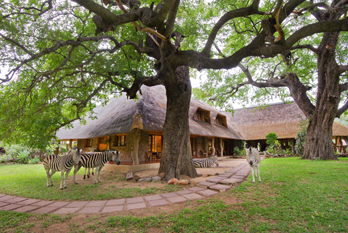 Blyde River Canyon Lodge is a pretty, 7 roomed thatched lodge. 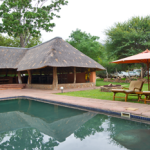 The lodge is situated near the town of Hoedspruit in the ‘state’ of Mpumalanga, east of Johannesburg. 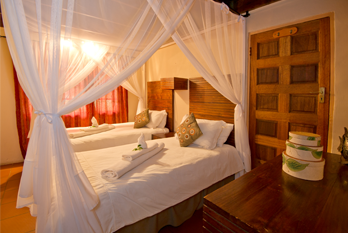 Accommodation is clean, simple and comfortable. 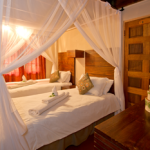 The rooms and bathrooms are fairly basic but they do have air conditioning. 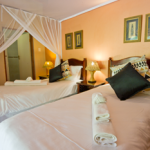 In contrast, the common guest areas including the pool are excellent. 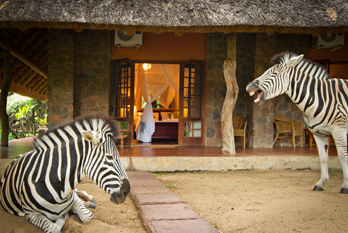 Breakfasts are served on the veranda overlooking the grounds often in the company of zebra and reasonable dinners can be arranged. 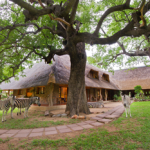 The enduring features of this property are the wonderful views from the grounds and the semi-tamed zebra, impala and even an elusive bush baby and occasional visit from a hippo. 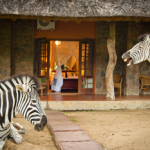 This is situated close to the spectacular Blyde River Canyon that is the world’s third largest canyon. This area is exceptionally photogenic. You can hike through the bottom of the gorge on good footpaths or go for a cruise on the Dam. This is an experience you won’t forget. You will walk among trees teeming with monkeys. 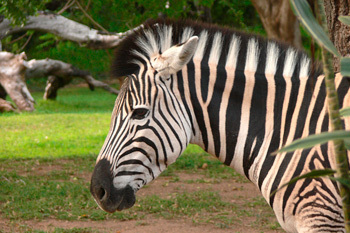 You will gasp at the hippos and crocodiles basking on rocks as you cruise by at a safe distance. 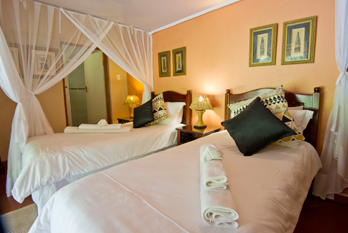 From the lodge you can drive to romantic Pilgrim’s Rest that hosted one of the earliest gold rushes in South Africa. History abounds in this area. This is also where the High Veld of the South African interior comes to a dramatic end plunging to the Low Veld some 2000 feet below. 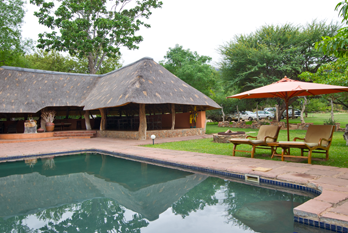 For clients who wish to travel to the Kruger Park, Orpen Gate is only a short (40 minutes) drive from the lodge. 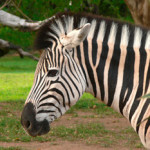 The area also boasts numerous private game reserves and animal rehabilitation centres. In the main, however, you will want to gaze in awe at the scenry along the Panorama Route.